Pan-Am Set To Return To The Air Next Month : The Two-Way The first U.S. international airline returns to the skies in November, when Pan American Airways begins flying out of its Texas hub. 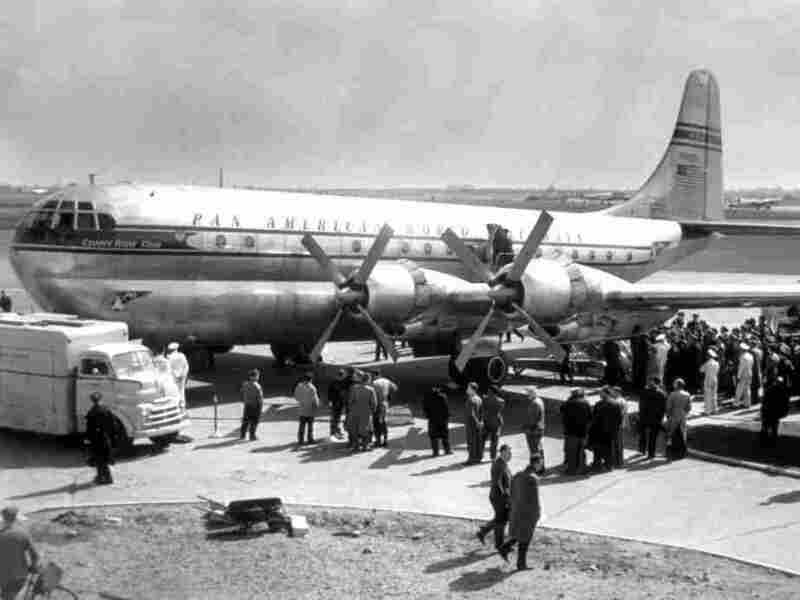 But the brand's glamour days are behind it: The new Pan American will start out carrying only cargo, not passengers. America's first international airline will take to the skies again in November, when Pan American Airways begins flying out of its Texas hub. But the brand's glamour days are behind it: The new Pan American will start out carrying cargo, not passengers. The new airline -- the fifth attempt to re-establish Pan-Am since it went bankrupt in 1991 -- will operate out of Brownsville South Padre Island International Airport, near Texas' Mexican border. On its website, company president Robert Hedrick says the new Pan-Am will launch its inaugural flight -- to Monterrey, Mexico -- after a rededication ceremony on Nov. 12. As reported by Robert J. Hawkins at Sign On San Diego, the company says it will use the same building that was the Latin American headquarters for the original Pan-Am. Brought back to life in a deal with shipping firm World-Wide Consolidated Logistics, Inc., the new Pan-Am hopes to begin passenger service in 2012 to cities throughout Latin America. And it has another ambitious plan: to someday provide service to Africa, via a southern route. The airline may have trouble establishing itself, as its website was a bit hard to find. For now at least, the top Pan-Am website in search results is an archival one, celebrating the airline's glory days after its birth in 1927. One thing that site's got going for it: some cool images of old Pan-Am planes.